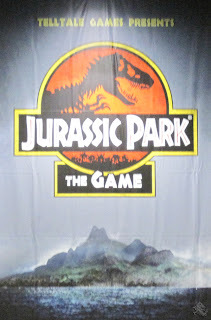 For the first time at PAX Prime 2011, playable scenes from the second episode of Jurassic Park: The Game were debuted for the world to see. No longer is the untold story of what happened on Isla Nublar after the events of Jurassic Park (1993 film) shrouded in the islands mist. For Jurassic Park fans that are unaware of what the plot of this game is, let me briefly describe it. The game picks up right after the events of the first movie. The hunt for Nedry’s Barbasol canister filled with dinosaur embryos is on. However, the dinosaurs in the park are still on the loose and a threat unseen in the movie is also on the prowl. Now the humans on the island want nothing more then to escape with their lives. There were a couple of scenes to choose from, I went with the scene that follows the male protagonist. The demo lasts around five minutes, so it was brief but thrilling experience. You are being hunted by a small party of Velociraptors and through a series of quick-time events and button prompts you can make your way to safety. Mess up at key moments or too many times and your character makes a mistake and ends up at the bottom of the food chain. After you make it to safety a short cutscene plays in which the cast of human's only hope at getting off the island appears to have crashed. 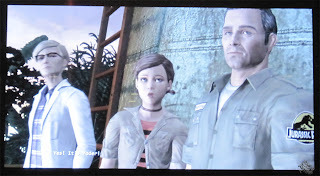 The gameplay of Jurassic Park appears to be heavily influenced by the PS3 exclusive game Heavy Rain, particularly during the action sequences. 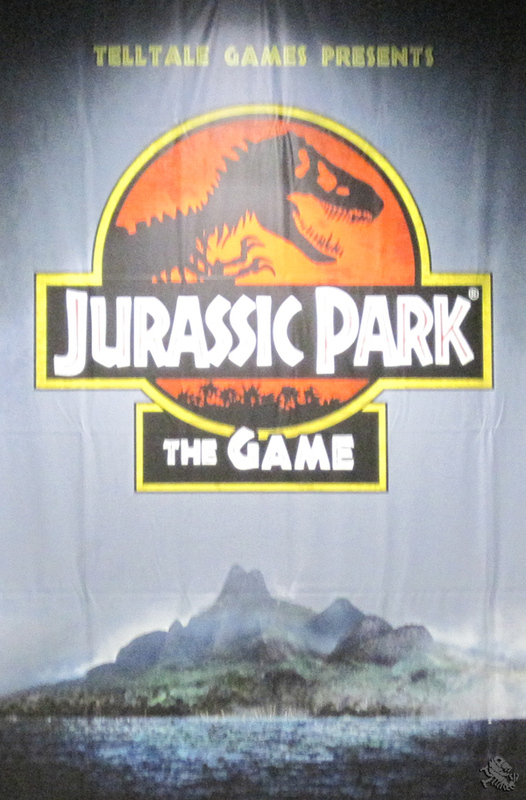 At San Diego Comic-Con I had a chance to play another segment of Jurassic Park: The Game, it was all about exploring your environment. In that case you mostly direct the playable character to certain parts of the ‘set’ and then rotate the camera to find different clues and interactive objects. So fear not, the whole game is not just one long quick-time event, there is some slow paced gameplay as well. I can not contain my excitement for this game. Jurassic Park is a franchise very near and dear to me, and I am more than excited to be headed back to Isla Nublar after nearly twenty years. The demo was just a mere taste of what to expect come November 15th, when all the episodes of the game will launch simultaneously on PSN and PC. The game will also be available on Xbox 360 on the same day but only at retail outlets.